Updates | Pentagon Switchgear Private Limited in Coimbatore,Pentagon Switchgear Private Limited has been established in the year of 2005 by top notch engineering professionals having nearly 15 to 25 years of experience in Switch gears, who are experts in Design, Manufacturing, Marketing, Quality Control and after Sales Service. Pentagon Switchgear Private Limited offers quality and reliable products to the Utilities and various Industries. We endeavor for excellence in the Electrical Industry through stringent quality measures, latest technology and effective processes. Our vision is to become leading Switchgear Company, globally known for its capabilities to offer best designs and engineering solutions. 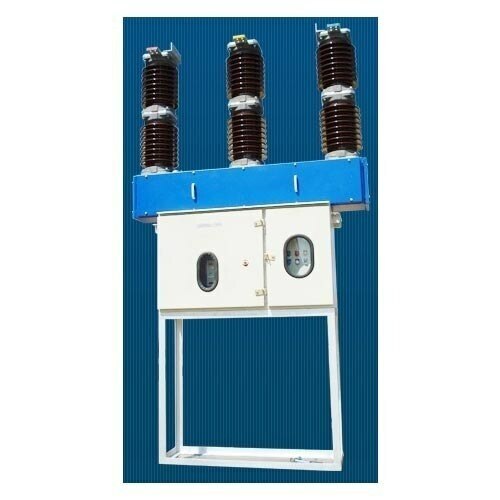 VACUUM CIRCUIT BREAKER PANEL Pentagon Switchgear Private Limited offers Indoor / Outdoor Vacuum Circuit breaker. These breakers can be installed as per the requirement at site like Indoor or Outdoor. The constructional detail of Kiosk is explained below. It consists of manual/motor operated spring charged mechanism of stored energy type. In the closed state of the breaker, the closing springs can perform the duty operation. Facility is also available for hand charging the springs in the event of supply failure. The closing spring is charged by the motor in less than 15 seconds. Electrical anti – pumping feature is also provided. The mechanism is trip free and suitable for rapid re closing. The vacuum interrupters are capable of switching capacitive currents and small magnetizing current. Earth Switch available as Factory – fitted accessory can be mounted above or below the LBS. H.T. Fuses available as factory – fitted accessory and can be mounted above or below the LBS (16A to 120A. ), Auxiliary Switch available as factory – fitted accessory with 2 NO + 2 NC or 4 NO + 4 NC for Local / Remote On, Off Indication purpose. Live line in indicators can be given as an optional accessory in all the modular panels. H.T. Fuses, Shunt-trip, Mechanical Castle – Interlocks are optional Accessories. Shunt trip coils – Available standard voltages are 110V AC, 50Hz, 220V AC, 50 Hz, 24V, 30V, 48V, 110V, 220V DC. These are type tested at CPRI in accordance with IS9920 / IEC 265; following table presents detail about this: Pentagon Switchgear Private Limited offer compact modular Load Break panels in metal clad enclosure with dynamic mimic, extensible on both sides. The Modular load break switch panels can be used in various combinations such as Ring Main Systems, Multi Panels etc… The Ring Main System / Multi Panel configuration finds applications in Public and Industrial Medium Voltage distribution networks. SALIENT FEATURES OF OUR PRODUCTS: Available in both Indoor / Outdoor Version and Extensible. Metal Clad, hence no access to live parts. No Arc chute hence minimal maintenance. Separate HT/LT compartments. Maintenance free mechanism. Compact design with aesthetic look. Best Service network throughout India. LBS Panels Manufacturers Mechanical interlocks are provided between Main Switch and Earth Switch in such a way, the Earth Switch can be closed only when the main switch is in open condition and vice versa. Access to the HT HRC Fuses is not possible when the Main Switch is in On Condition. Interlocks are provided in such a way that the operating handle can be inserted to operate either main switch or Earth Switch. Load Break Switches Manufacturers Load Break Switches in Three Pole/Single Pole, Manual/Motorized Operated up to 33kV range. Our Load Break Switches are simple but robust design with trouble free mechanism. These Switches are used in applications like transformer switching, Ring Main Gears (RMG), Capacitor Switching, etc., Pentagon Switchgear Private Limited offers Load Break Switches that can be Make/Break the normal rated current and make the short circuit current. The design of Load Break Switch is user friendly, and easy in operation with reliable function. Load Break Switches are type tested at CPRI in accordance with IS 9920 / IEC 265. Pentagon Switchgear Private Limited Supplies products to BESCOM, ESCOMS, Water & Sewage Boards, Process Industries, other Industrial clients through reputed Contractors.